Who is ready to take the plunge and change a paint color in your home?! If you are in my travel area (45 minutes of Wyckoff NJ) then contact me to set up a design consultation so that I can come to your house with my Benjamin Moore swatches and find the perfect color for your space. If you are outside of the Bergen County NJ area, I can still help you via email/Skype. If you have an idea for a future blog post topic, leave it for me in the comments! I love picking out paint colors and through the years have found that I have a "go-to" short list of favorites! All are Benjamin Moore. I first discovered this color years ago and have used it in my spaces in my own home and for clients as well. It's a soft clay that can read blue or green ever so slightly depending on the light. This is such a creamy white and perfect for when you want white walls that aren't BRIGHT white. This palette really lets your art work and accessories shine. I fell in love with this color when we used it on our kitchen island and then used it again in our guest bath. It's got a little more depth to it and looks great with black accents. 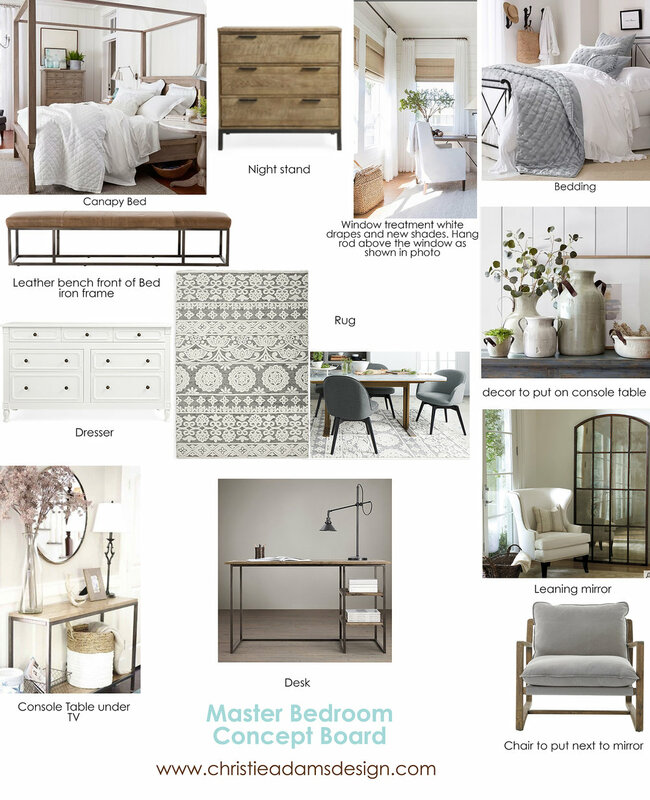 I'm excited for a busy week ahead with an E-design living room project, paint color consultation and a master bedroom consultation. If you are in the Bergen County area I would love to set up an in-person consultation to help create your dream home! And if you are outside of the area I'd love to work with you on an e-design project!